The win also means Warren Gatland's side went on to register their 10th consecutive victory after a successful summer and autumn international series last year. France, who capitalised on the errors from the visitors in the first half could not quite maintain the momentum in the second as they conceded 24 points. Jacques Brunel's men made early attack in the game creating wide space and it eventually paid off with Maxime Medard offloading to Louis Picamoles for the opening try in the 6th minute that was not converted. Liam Williams led the response from Wales as he charged down before he knocked on as Wales missed an opportunity to open their account and even take a lead in the game. The visitors' defence looked in a spot of bother as Yoann Huget sprinted past George North to score second France try in the 23rd minute. As Wales continued to make errors, Camille Lopez further extended the lead of the home side with a penalty goal and a drop goal in the 34th and 40th minutes respectively as the teams went into the break with a 16-0 lead. Wales showed better intent in the second half and finally they got their first points on board following brilliance from Josh Adams. 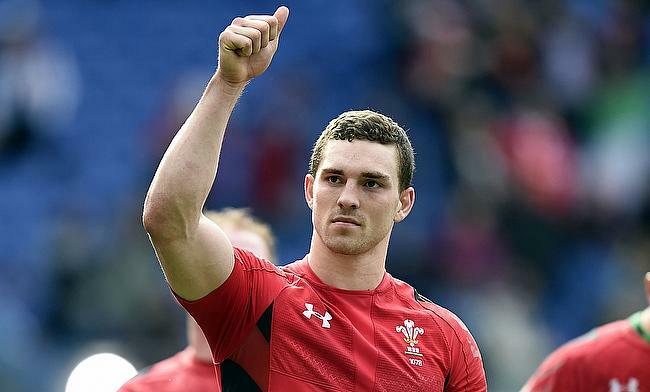 Adams raced past the defence of Wales before he passed to Tomos Williams, who touched down in the 47th minute. Gareth Anscombe slotted the extras as Wales' got the much-needed momentum. As a reversal of fortune, North capitalised on a mistake from Huget for the first of his second try that came in the 52nd minute and once again Anscombe's conversion meant the gap between the two teams came down to two points which remained intact after Dan Biggar and Camille Lopez traded penalties in the 63rd and 70th minutes respectively. As the game entered the final 10 minutes, France made a blunder that came to haunt them as Sebastien Vahaamahina mistakenly passed to North, who intercepted and went on to touch over the line for his second try and Biggar improved it to complete 19-24 win for Wales.